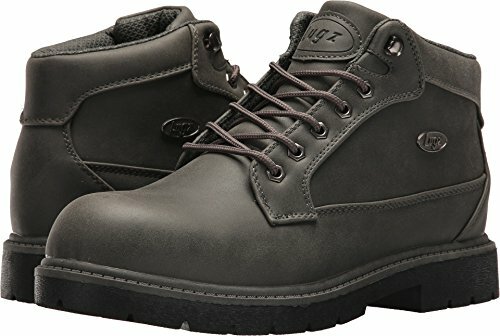 The Empire Lo WR is a water resistant boot that will keep you comfortable and protected from the elements wherever the day takes you. Padded tongue & collar. Flexa-stride Memory foam sockliner. ASTM-F1677, Mark II tested slip resistant rubber sole. The Men's Convoy WR is an updated take on the classic 6 inch boot. 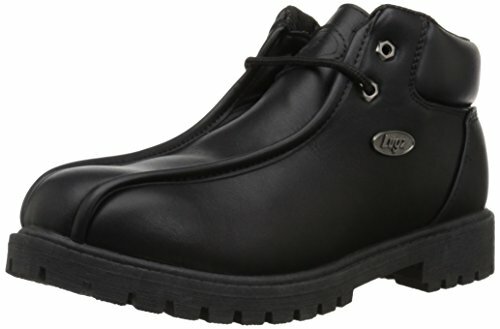 This work-boot features a water resistant upper and cushioned insole for optimal performance. Place the Lugz® Mantle Mid on your fireplace to remind yourself of their usefulness daily. Faux leather upper. Mid-top silhouette protects the ankle. Textile lining for breathability. Lace-up closure. Padded tongue and collar for superior comfort. Cushioned insole for all-day wear. Durable Lug rubber outsole for added traction. Imported. Measurements: Weight: 1 lb 6 oz Shaft: 5 1⁄4 in Product measurements were taken using size 11.5, width D - Medium. Please note that measurements may vary by size. Weight of footwear is based on a single item, not a pair. A classically styled work boot, the Cargo is ready to keep you in style all day. 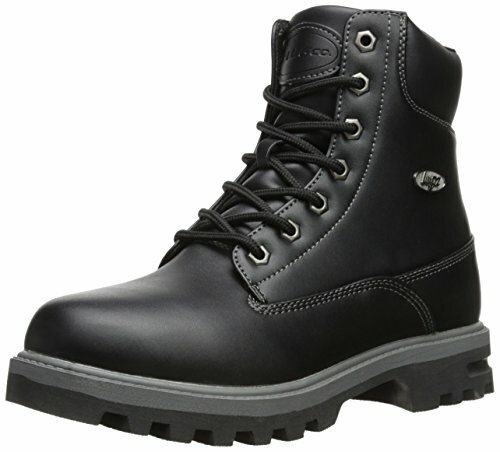 This boot features a padded tongue & collar for comfort, signature hardware on logo & eyelets and a durable lug sole. The loot sr is a traditional moc-toe work boot with a timeless look. 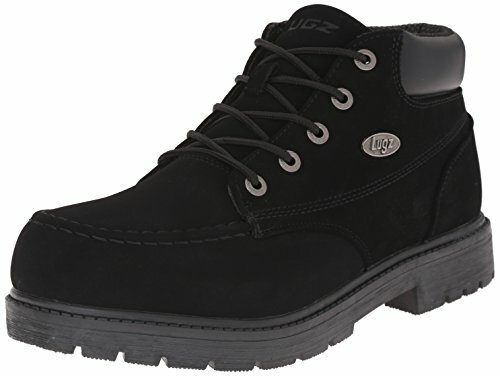 this rugged boot features a slip resistant outsole and padded tongue and collar. 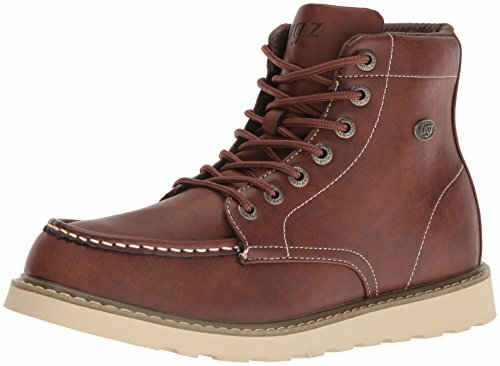 The men's roamer hi is a classic 6 inch moc toe boot that will work hard for you and never go out of style. 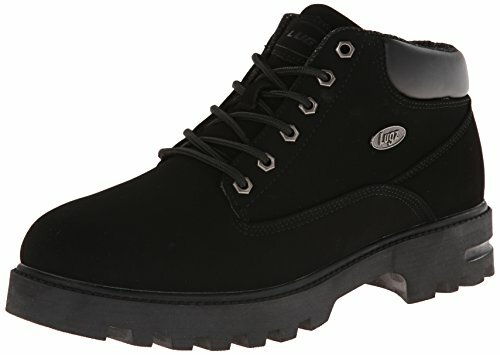 constructed with durable components, these boots feature a padded tongue and collar, cushioned insole, branded metal eyelets and a off-white traction wedge tread sole. 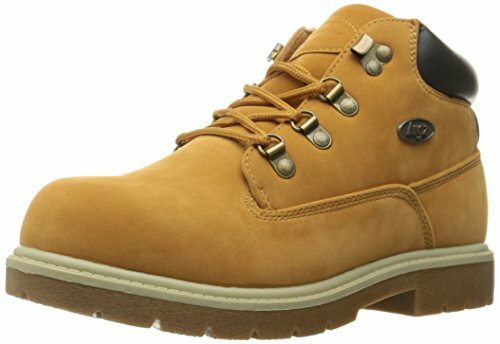 The men's Drifter mid steel toe is a stylish classic work boot designed to keep your feet feeling great all day. 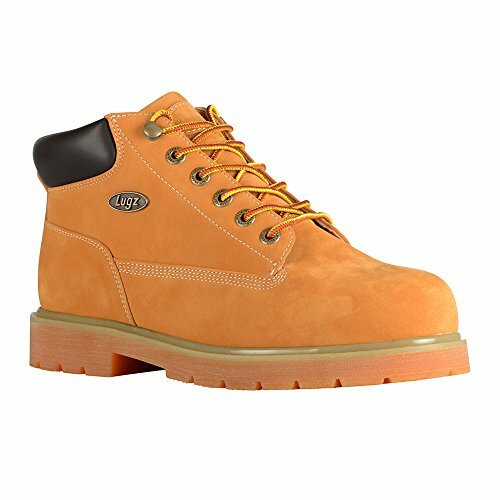 This boot features a water resistant upper, steel toe for maximum protection, classic Lugz hardware on speed hooks and logo, a flexastride molded memory foam insole for maximum comfort and durable rubber outsole. 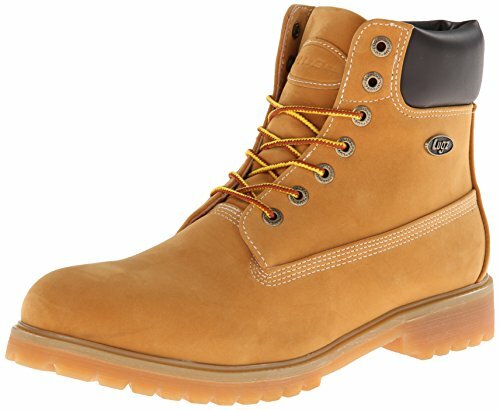 A classic Lugz style with rugged sensibility, the Men's Pathway 5 ankle boot features a cushioned insole, padded collar and a durable and slip resistant outsole that is built to last. The empire hi wr is a water resistant and slip resistant, plain toe boot that features our patented flex astride memory foam technology. this boot has the perfect blend of style and comfort to protect your feet year round. The Empire WR is a water resistant boot that will keep you comfortable and protected from the elements wherever the day takes you. Water resistant upper. Padded tongue & collar. Flexa-stride memory foam sockliner. ASTM-F1677, Mark II tested slip resistant rubber sole. 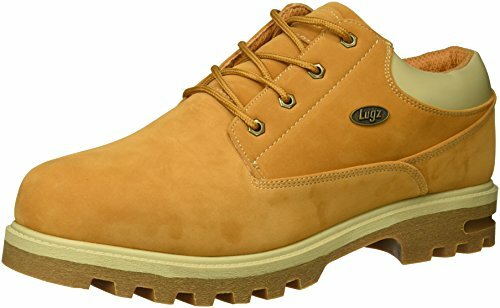 Compare prices on Lugz Men Boots at ShoppinGent.com – use promo codes and coupons for best offers and deals. Start smart buying with ShoppinGent.com right now and choose your golden price on every purchase.